Bins installed at the Edmonton International Airport for international travellers who need to dispose of cannabis have yet to be used, three weeks after Canada legalized marijuana. Travellers flying within Canada are allowed to carry up to 30 grams in their carry-on or checked bags. “I think some of us thought we were going to have a few problems … a substantial amount of people going, ‘It’s legal. Now we can carry it and we’re going to possess it,’ ” said RCMP Cpl. Kevin Krebs. Cannabis consumption is not permitted on airport property. 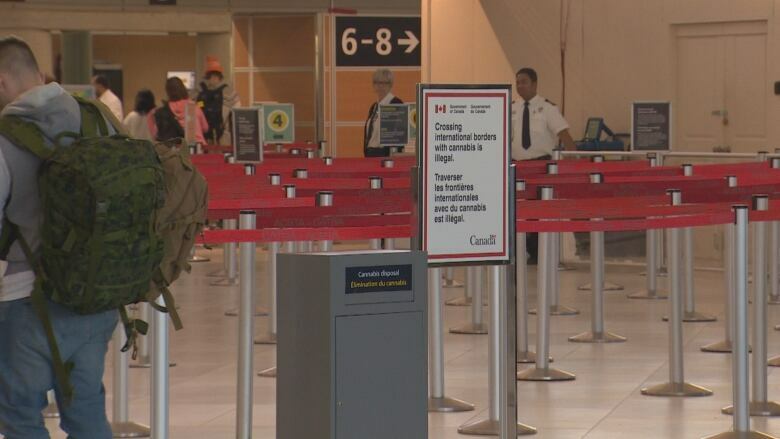 There has been no issues with travellers smoking cannabis at the airport, Krebs said. Travellers are likely to be cautious about travelling with cannabis, said Traci Bednard, an EIA spokesperson. Cannabis dropped into the disposal bins is eventually burned in bulk at a commercial incinerator with the authorization of Health Canada.